That's why I like the iPad - I can download Kindle and Nook books, and quite a few others, with the use of a free app. 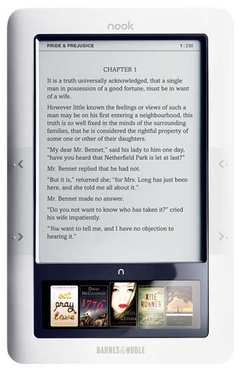 Were the books you purchased on the Nook on your computer or simply not downloaded yet? I could have read them on the computer, but I spend enough of my day staring at an illuminated screen as it is.